Researchers at the University of Plymouth have been awarded a six-year contract to evaluate a government-funded programme that is seeking to address loneliness and isolation in older people. The team at SERIO will be studying the Ageing Well Torbay Programme, one of 14 across the country that makes up the Fulfilling Lives: Ageing Better programme, funded by the Big Lottery. Assisted by renowned national academics such as eHealth expert Professor Ray Jones, and dementia policy researcher and government advisor Ian Sheriff, the SERIO team will look at the projects funded by Ageing Well Torbay across areas such as the creation of support networks and ‘live well’ initiatives. With a value of approximately £15 million (£6 million of which has been secured from the Big Lottery with a further estimated £9 million in volunteer time and match funding) the Ageing Well programme aims to change the lives of Torbay’s elderly residents by testing new approaches towards reducing isolation and loneliness. 45% of Torbay’s population is over 50, and it is estimated that 6,000 of these residents are isolated because of reasons such as retirement, the loss of a loved one, low income, poor health, lack of transport and mobility issues. As with all parts of the Ageing Well programme older people’s involvement will be a key feature of the evaluation. 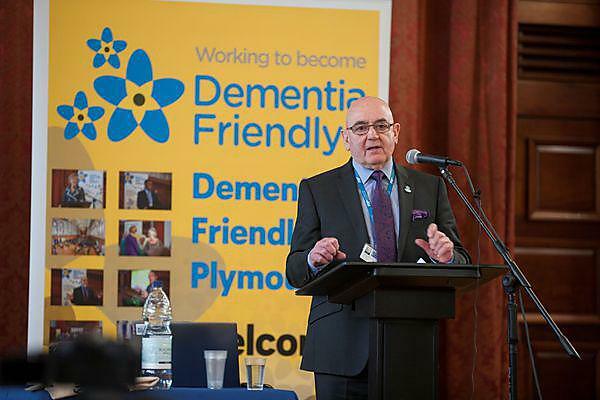 The University of Plymouth will be working with a team of Citizen Evaluators, people who live/work in Torbay to evaluate services and activities and help shape the way Ageing Well Torbay is delivered in the future. Mutual Caring, a Mencap project supporting people with learning disabilities who have become carers. Circles of Support offered by Carers Trust Phoenix which aims to reduce isolation and loneliness through development of person-centric support network. Wellbeing Coordination provided by AgeUK Torbay and Brixham Does Care a programme based on the successful Living Well pilot run in Cornwall in 2014-2015. In addition, the Torbay Community Development Trust is developing a Neighbourhoods model as part of its asset-based approach, identifying local people as connectors and builders to help implement a range of activities including timebanks across the region. The £150,000 research grant for SERIO – the University’s applied socio-economic research observatory – will fund an extensive programme of research activity over the six year evaluation and a series of reports which will be used to help the programme and policymakers reflect and learn from activities delivered.